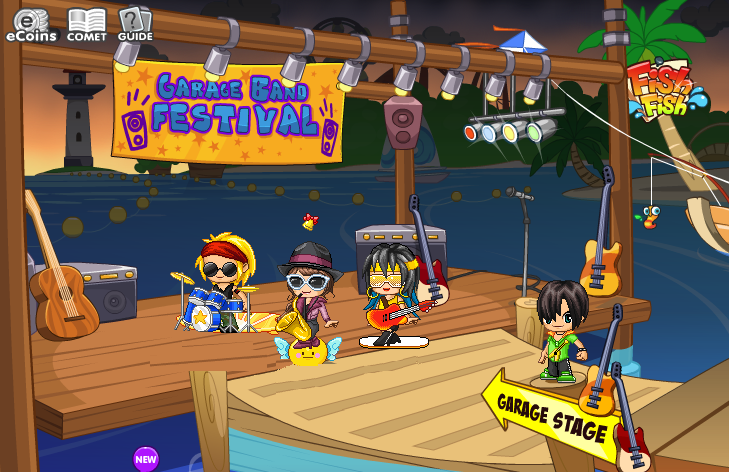 Fantage-The Garage Band Festival is Here! Hello Fantage Rockerrss , how are you today ? Our Garage Band Festival has officially kicked off! Head over to the Beach and Forest to grab your FREE musical instruments! You will be able to collect up to four unique instruments that each come with a matching sound! To start rocking out, just do an action (wave, cry, wink, or jump) OR use the numbers (1, 2, 3, and 4) on your keypad. Create some awesome drum beats, smooth jazz riffs, or guitar music! Next week, you will be able to pick up TWO MORE instruments! We can’t reveal which ones just yet…let’s just say they will definitely add some awesome sounds to your band! 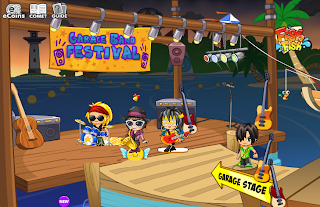 Fantage Games Place for News | Video | Tips |Trick: Fantage-The Garage Band Festival is Here!